BMW Motorsports’ “M” cars — such the M3 and the M5 — have been hands-down the best sports sedans on the road for the past 20 years. The cars’ perfect combination of powerful engines and surgically precise handling make them the go-to vehicle of enthusiasts and road racers alike. But more recently, BMW’s has carved out quite a market for itself in the SUV market — or “Sports Activity Vehicle” market, as BMW prefers to call it. 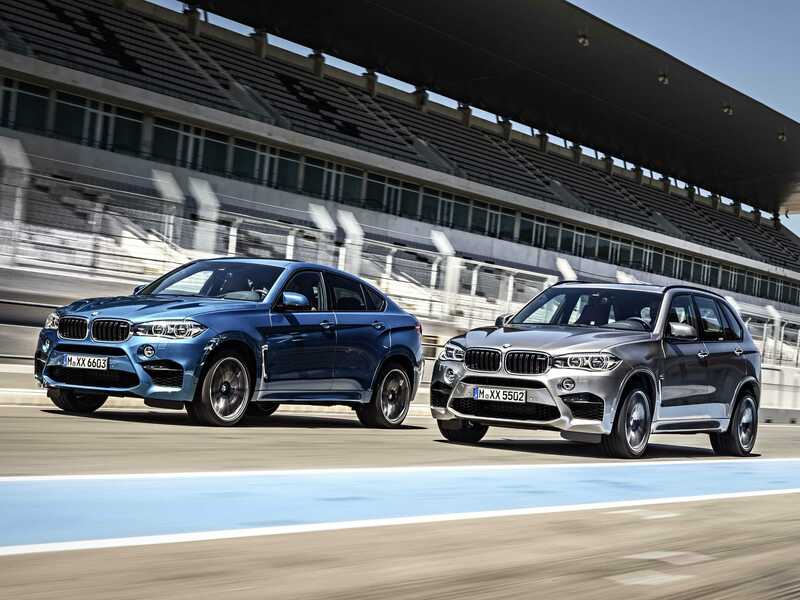 Fans of both BMW’s M cars as well as its off-roaders have been clamoring for the company’s highly touted Motorsports department to give the X5 SAV and X6 SAC (“Sports Activity Coupe”) a once over. Now, those demands have been met. 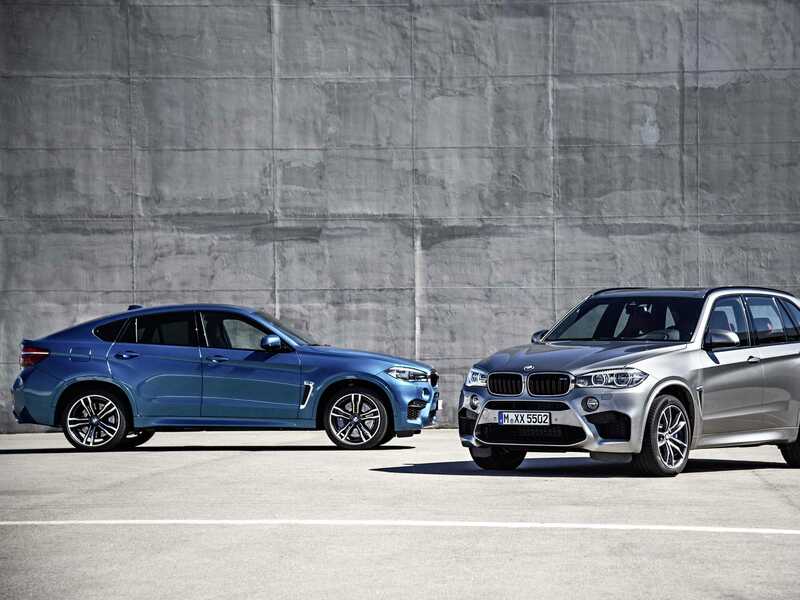 BMW announced this month that it will officially debut its X5M and X6M models at the Los Angeles Auto Show, which opens to the public this week. BMWBoth cars have a sharp, sporty stance. Power for both of the new M-utes comes from a twin-turbocharged 4.4-liter V8 engine — pumping out a massive 567 horsepower. All of that oomph will flow to to all four wheels through an 8-speed transmission. The result is an SUV capable of making the sprint from 0-60 mph in just 4 seconds, with a top speed of 155mph — although that number would be much close to 200 mph with the devices that limit the cars’ speed removed. Even though BMW’s SUV can go off-road, they’re much more at home on the streets of suburbia than tackling the the Rockies. This is especially the case for the M editions — their 21-inch sport wheels and low-profile tires are designed grip the pavement like a startled cat on a curtain. As a result, the X5M and X6M are definitely more Porsche Cayenne than Range Rover Sport. 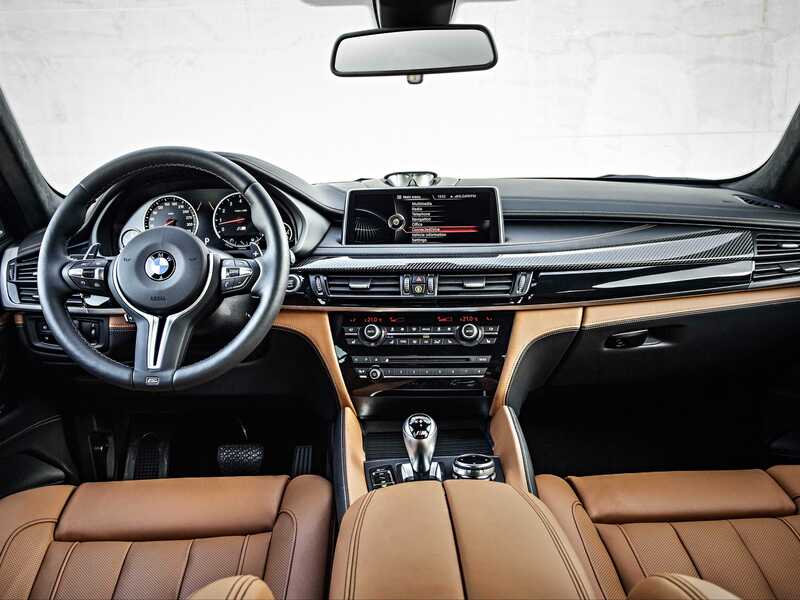 BMW X5 and X6 models have been some of the company’s most popular offerings in recent years. In the future. the bulk of sales expected to come from China and the US. The X5M and the X6M can be yours for $US99,000 and $US103,000, respectively.